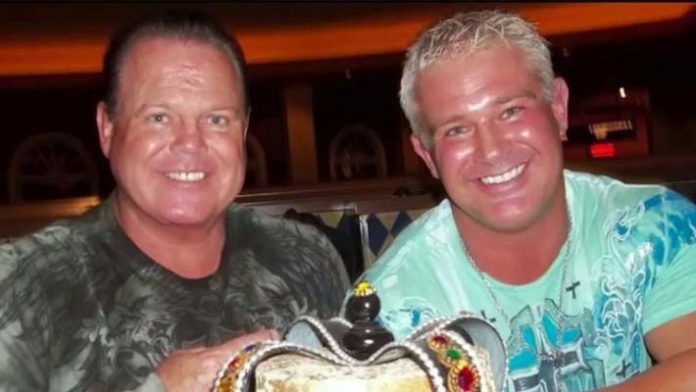 Jerry Lawler paid tribute to his son, Brian Christopher, at the Grizzlies game last night. It was wrestling night at the Memphis Grizzlies game last night. As such, Jerry Lawler and some other wrestling personalities were in attendance. Lawler paid tribute to his son, Brian Christopher, during the show. Along with Rikishi and the Grizzlies mascot, Lawler did the Too Cool dance at center court. Lawler, Rikishi, and the mascot dancing was caught on the big screen by a fan in attendnace who then posted it to YouTube. There was a match for Grizzlies wrestling night as well. Buff Bagwell and Jerry Lawler have been feuding at the games recently. Last night, Bagwell brought in the Steiner brothers as backup and Lawler brought in Rikishi. Brian Christopher died on July 29th, 2018 at the age of 46. The official cause of his death has been ruled a suicide after he was found hanging in his cell at Hardeman County Jail. Christopher had been housed at the center since a DUI arrest weeks earlier. The Tennessee Bureau of Investigation has launched an official investigation into the cause of Christopher’s death, however. Lawler has said the following in regards to his belief regarding the cause of his son’s death.